So…our first family vacation as a family of four. It’s really the first time we’ve traveled for a real vacation with L. We’ve done Saugatuck for an extended weekend a few times, but never a long drive somewhere. My dad, brother, and my best friend from high school get together every year for a White Sox game. My friend lives closer to St. Louis now and since his wife is a Cardinal fan, he got in on a season ticket plan giving him ten games a year. He asked if we wanted to add a Cardinals game to our summer this year and we were all up for it. I figured if I was going to drive that far, I may as well take the family and make a vacation out of it. I got a helluva deal at the Crowne Plaza Downtown in St. Louis so the plan was for us to hang out Saturday, I’d go to the game, then we’d find something to do on Sunday as well. The drive from Kalamazoo to St. Louis is pretty long…even if you’re not a 4-year or 6-month-old. The plan was to stop somewhere for dinner along the way. B fell asleep so we kept pushing our dinner and gas break back. As we neared the Bloomington/Normal, Illinois, B started waking up and I had a place in mind that I really wanted to stop at. 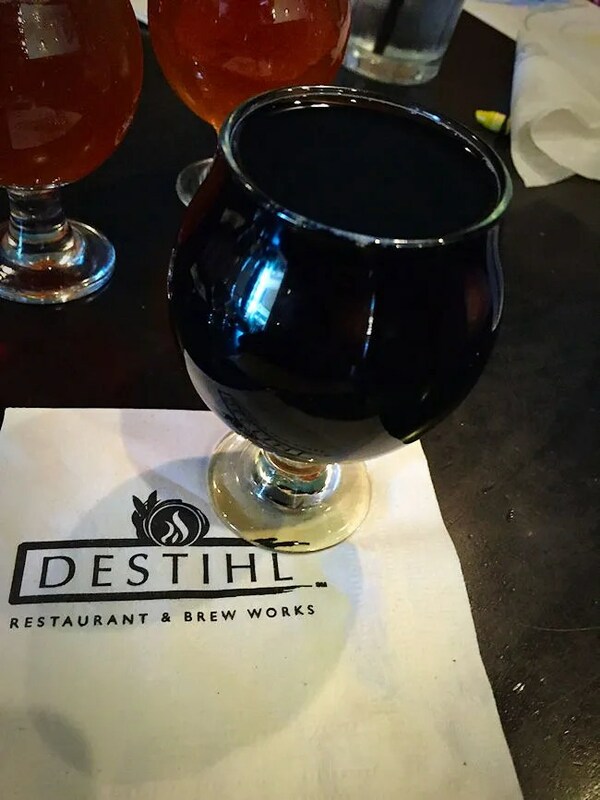 DESTIHL Restaurant & Brew Works isn’t too far off I-55 in the small central Illinois college town of Normal. The restaurant is on Towanda Road inside the Shoppes at College Hills shopping complex. This is a brewery that’s been around since J and I lived in the area 8 years ago. 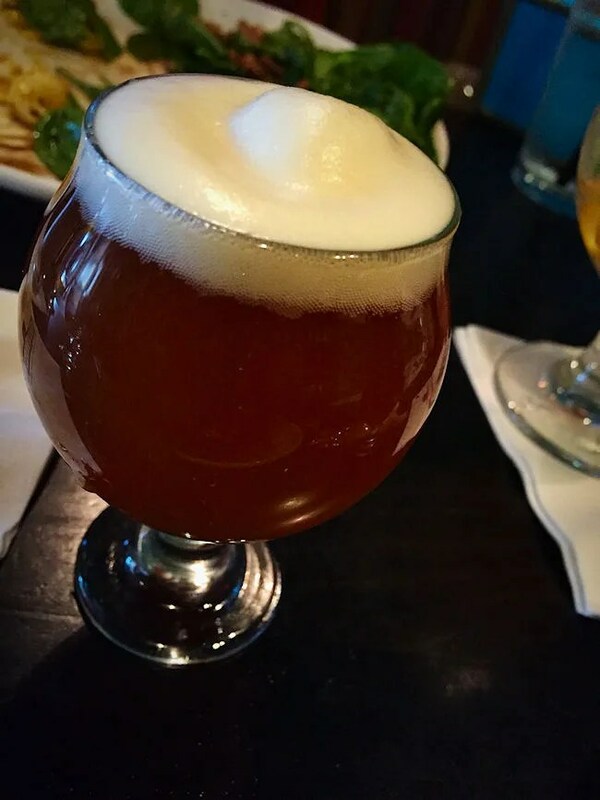 At that time, craft beer was nowhere near as popular as it is now and while we did eat there, I didn’t have much interest in the beer…I just heard the food was delicious. We pulled in to Normal around 4:00 and found our way to the restaurant from the Veterans Parkway entrance at The Shoppes. DESTIHL sits near the back of the shopping center near the Towanda Avenue entrance. There weren’t many people in the restaurant when we got there, so we were very happy to be shown to a booth in a somewhat hidden back corner of the place. All of the tables kind of have an intimate feel to them as there are a number of partial walls that close the restaurant off while not making it feel claustrophobic. I grabbed the beer list as soon as we sat down. I have had a couple of DESTIHL beers through distribution, but not a lot. They’re really known for their sours. I think I’ve had one of the Wild Sour series, but at the pub, they have the St. Dekkar Sour series on tap. DESTIHL doesn’t really do flights, but they do offer 4 oz tasters. I ordered five of those so I could try as much as possible. Unfortunately, they only had two of the sours on tap and one I had no interest in, so I was only able to order one. I started my “flight” with the Strawberry Blonde Ale. I got this one so J could try. She was thinking about ordering this, but went with a Sangria Blanco instead. J took a couple sips and said she really liked it. I thought it was a little too bitter. Fruit beers aren’t always my favorite anyway so I didn’t expect to love this one. I didn’t hate it…it’s just one of those I wouldn’t have been able to drink a lot of. Beer two I think was a mistake. I had ordered the White IPA, but he brought me the White Stout instead. This was interesting. It didn’t look like a stout, but it tasted like one. Beer three was the Black Angel Stout. Solid stout, but nothing that really stood out. Very drinkable though. 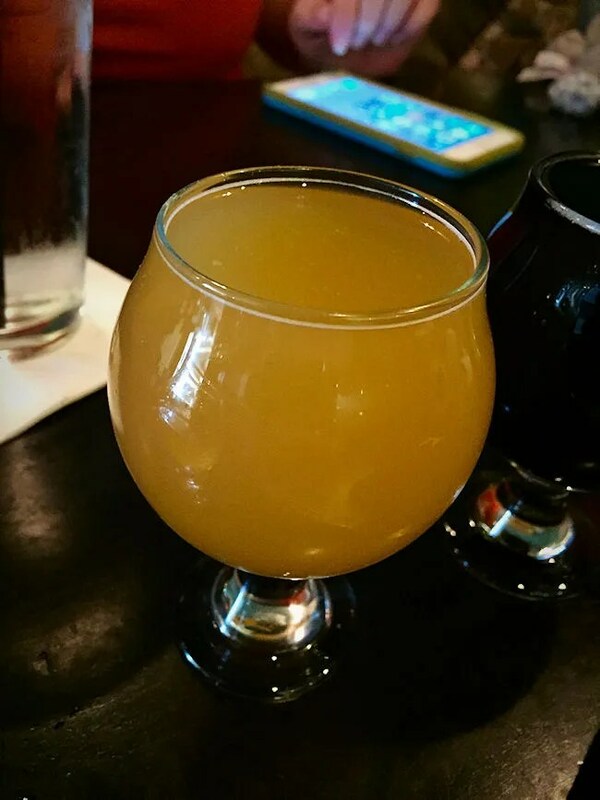 The fourth beer was the Snarker Posey RyePA. I’m just starting to come around to Rye PA’s. I have no idea why they named a beer after Parker Posey, but they did and it was delicious. Of the beers on tap, this would probably have been the one I would go for if ordering a pint. The last beer was from the Saint Dekkar Reserve Sour Ales. 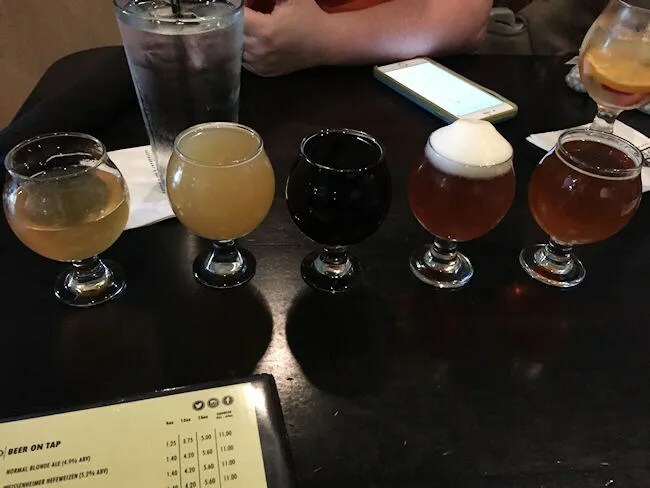 They only had a Strawberry Blonde sour and a Sour IPA. I chose the IPA. The beers in this series are naturally soured and aged in oak barrels. Sours always have to catch me in the right mood and this one must have because I really liked it. 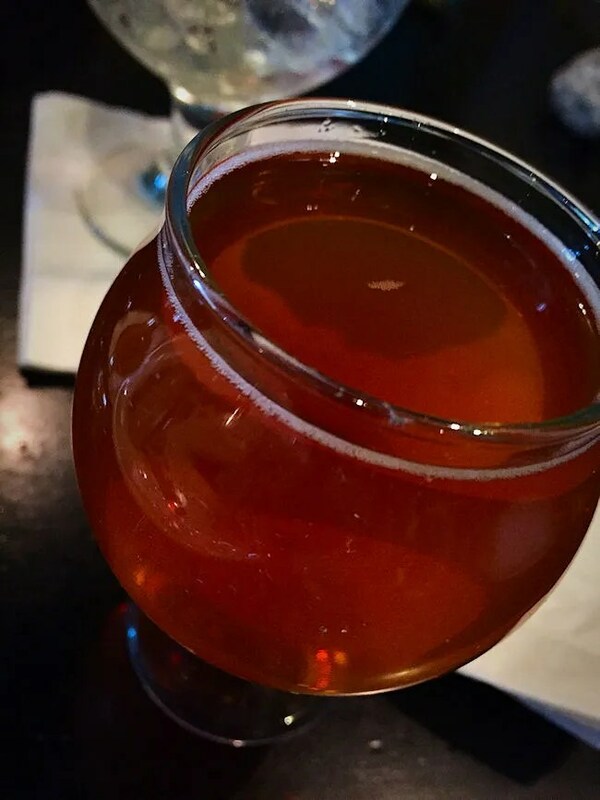 It’s a sippin’ beer…not a drinkin’ beer though. I enjoyed the taste, but wouldn’t be able to drink a lot. After the beer situation was settled, we got right to work on dinner. J knew before she sat down what she was getting for herself and L so we put all of the order in when we put in the drink order. We still had three hours or so in the car and we wanted to get back on the road so the quicker we could make this stop the better. J ordered the Berries & Goat Cheese salad. 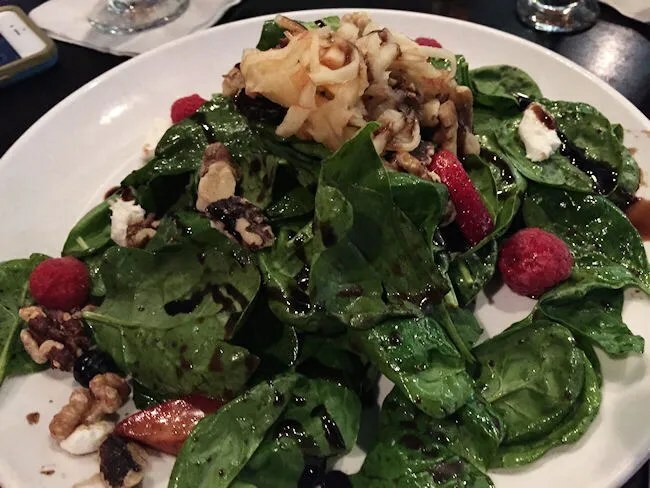 The spinach salad was topped with blueberries, raspberries, honeycrisp apples, strawberries, lemon zest, and toasted walnuts. It came with a balsamic vinaigrette and a balsamic glaze. J told me as we were walking out her meal was fantastic. I always hold my breath when we go to breweries. J isn’t a huge beer drinker but she knows I enjoy them. I can never tell if she’s truly alright with it or just humoring me. It always makes me feel better when she says unprompted that she really liked her meal. I got a burger unlike anything I’ve ever seen before. It’s called the Beer-Battered Bacon & Egg and Burger. 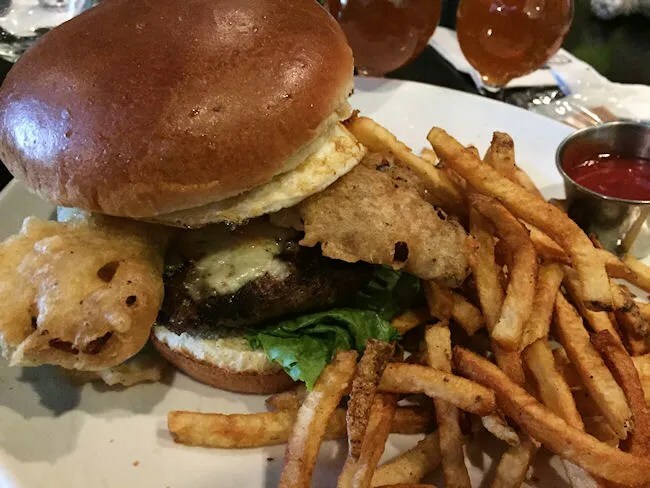 This thing is a half pound angus beef burger topped with beer battered jalapeno bacon, a tomato bacon jam, a chile fried egg, and maple smoked white cheddar cheese on a brioche bun. The bacon was unique and delicious. The jalapeno part of it added just a little bit of spice to the sandwich, but not an overpowering heat. The burger was cooked perfectly with a slightly pink, juicy center. The whole thing is put together so well and is so full of such a unique flavor that it’s totally worth the $14 the sandwich costs. In addition to the sandwich, the burger came with choice of sides of which I chose the hand cut fries. They were the delicious hand-cut, slightly greasy, golden brown fries that could be the only type of fry you could pair with this sandwich. The one disappointment with this meal came with L’s choice. We ordered her the kid’s mac ‘n cheese. The portion was huge. That wasn’t the disappointment. The portion would have been a good size for most adults. The disappointment came with the flavor. I don’t know if it was a smoky cheese or what, but it actually tasted burnt. 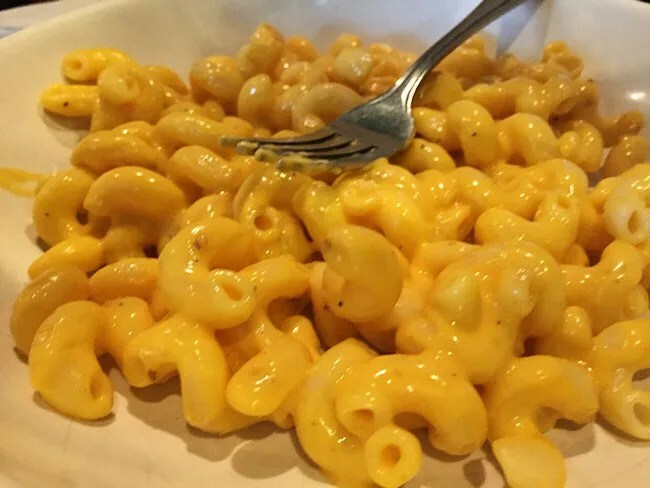 L has been really picky with mac ‘n cheese lately so she started complaining as soon as it was set down…even though she ordered it herself…but once she took a bite, it was over. We argued with her for a little bit then took a bite ourselves…and it was hard to argue with her after that. Our bill for an otherwise fantastic meal was just over $50. It would have been cheaper if I didn’t order so much beer, but that’s the whole point. 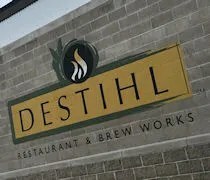 DESTIHL has grown so much since the first time J and I ate there back in either 2007 or 2008. 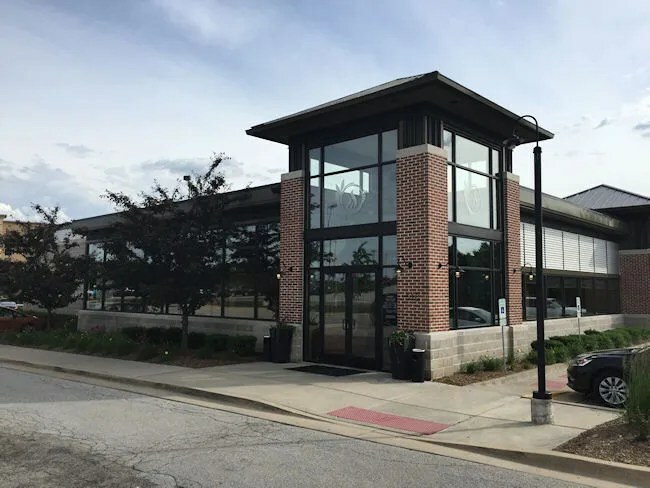 They actually have opened a second location in Champaign, IL and moved their brewing operation to a larger facility nearby on G.E. Road which allows them to do more canning. 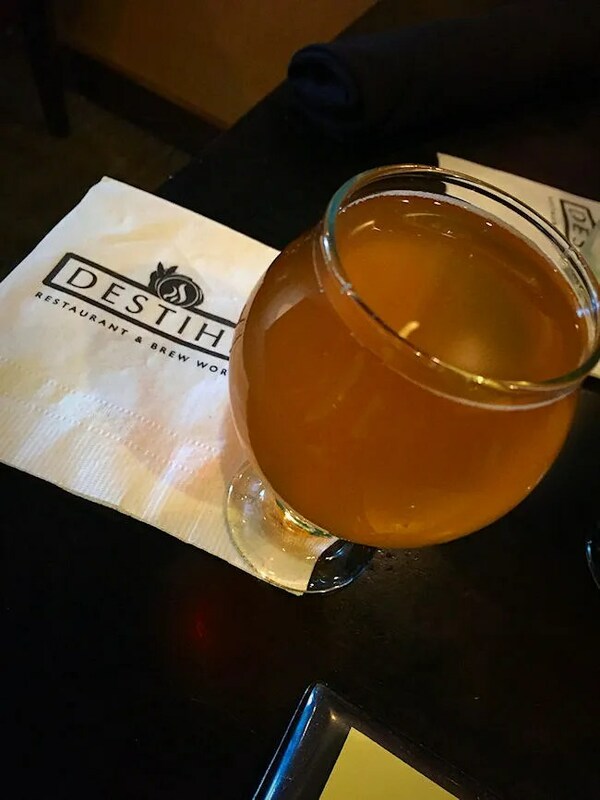 DESTIHL doesn’t have a whole lot of craft beer competition in the Bloomington/Normal area, but even if they did, it wouldn’t matter much. They produce a great product with their beer and the food is pretty amazing as well. We had one hiccup with the kid’s meal, but J and I both enjoyed our meals immensely. ← We Interrupt Our Regularly Secheduled Program…..